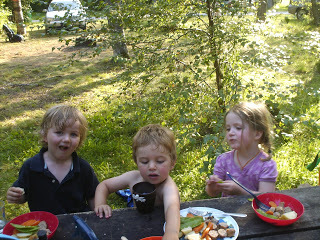 Cale, Gus and Rachel eating veggie snacks. 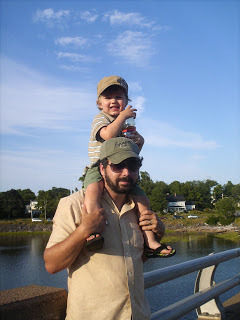 We've spent the past two weekends camping on the Northumberland Strait. One trip with dad to a camp ground near River John and one trip for just moms and babies at Caribou-Munroe's Provincial Park. We are hoping to make this an annual event! A parade started just as we were driving through River John. We had to stop and take in all the excitement!